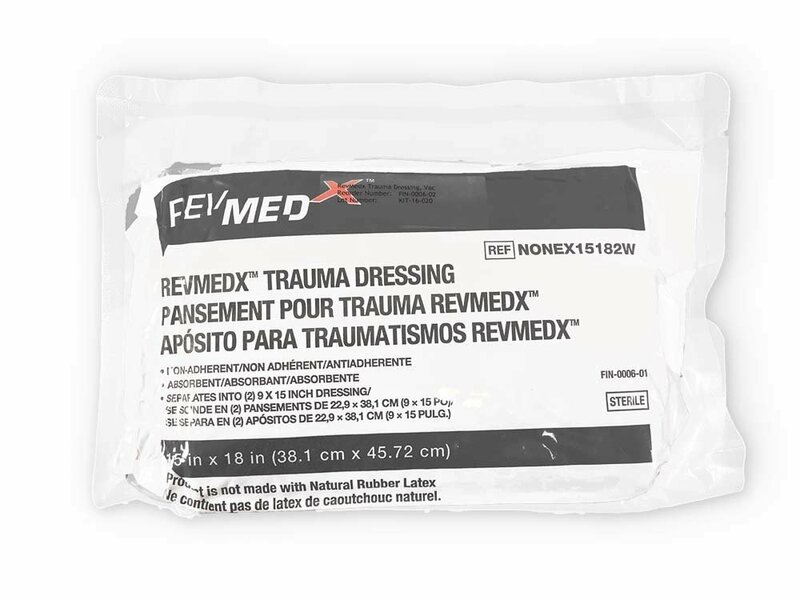 The RevMedx™ Trauma Dressing (RTD™) is a sterile, 15”x18” multi use absorbent dressing that is non-adherent on both sides. It can be torn in half (9”x15” each) for the treatment of a variety of wounds and surfaces. 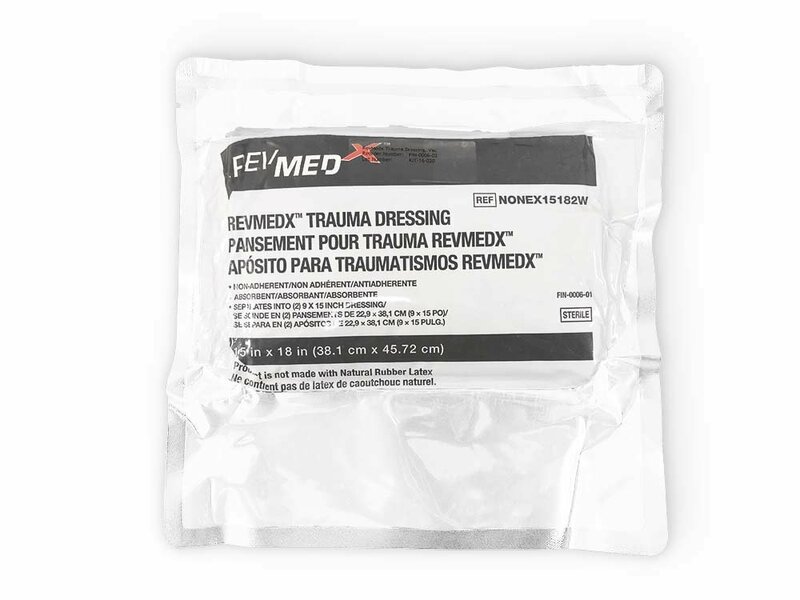 The RevMedx Trauma Dressing is a Class One non-adherent dressing that is latex free and packaged in a sterile Vacuum Sealed low profile packet.